Looking for a special custom engraved gift for that special guy in your life? 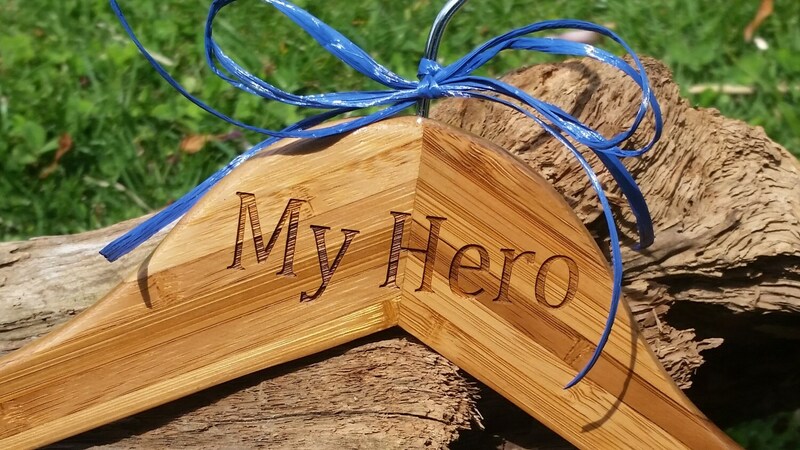 Our beautifully engraved bamboo wood hanger will surely bring a smile to his face. Ready to ship next day via priority mail.